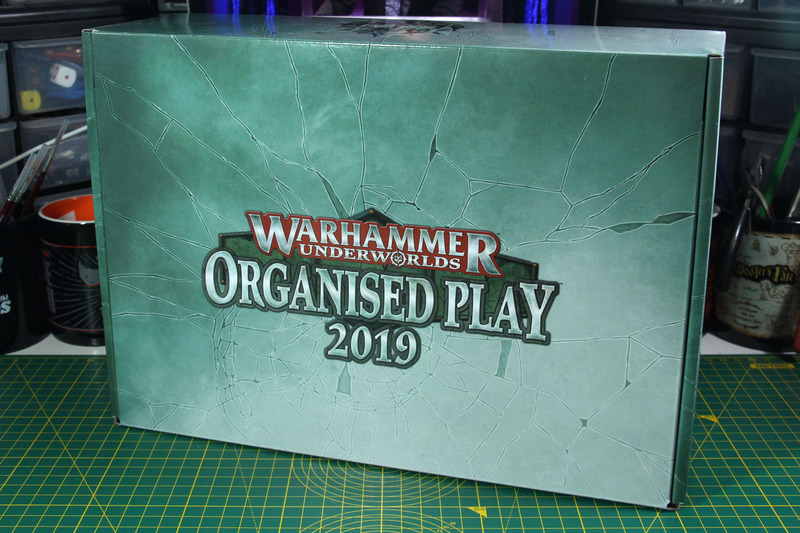 The organised play box does not cover everything you can get for the new season Nightvault of the Warhammer Underworlds series. Unfortunately unpictured, but I want to list them up for you so you know what else is out there. Pre-order boni were a game mat, frosted dice and a dice bag. For participants of the Grand Clash, the large tournaments of Underworlds, there are a couple of additional items to win as well (scroll down to the bottom third). 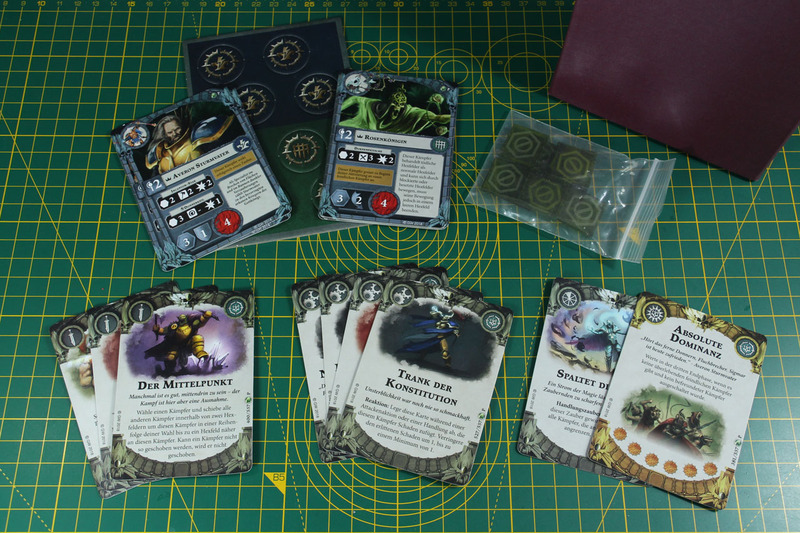 There is a large acrylic scatter template, acrylic activation tokens, another set of dice, another playmat, promo cards with different artwork and a huge Grand Clash trophy (similar to the shadeglass "Champion of the mirrored City" trophy, but like at least twice the size). 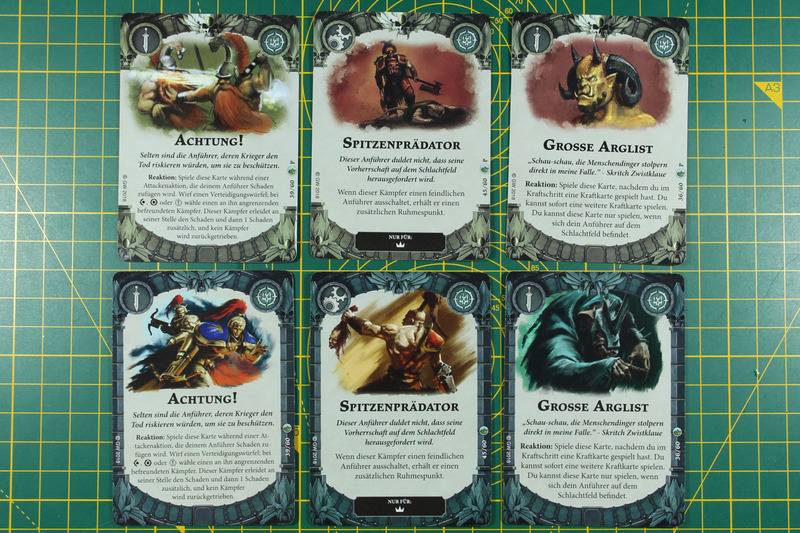 The set covers a suggestion how to distribute the prizes among the Underworld players. Usually the prizes are spread across the participants of a tournament, depending on their placing. 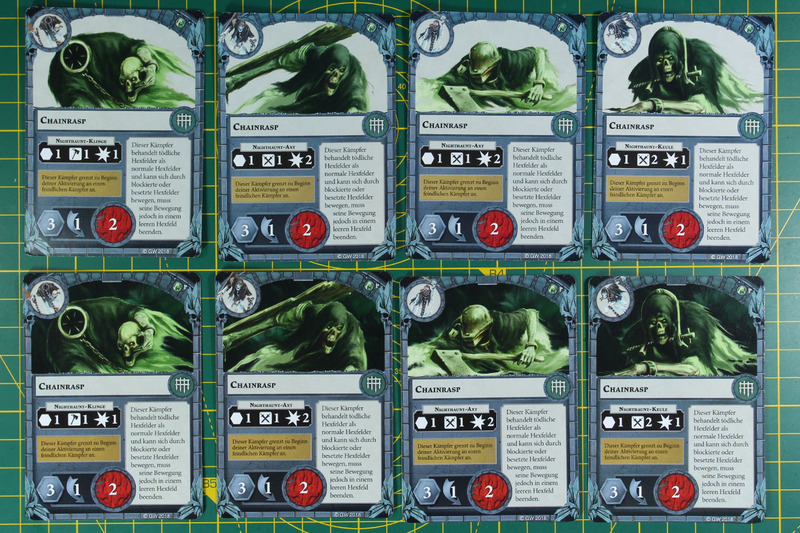 Major part of these sets are the alternate artwork fighter cards. They distinguish themself by a different background colour but the original artwork on the "uninspired" front, and a different artwork on the inspired back. 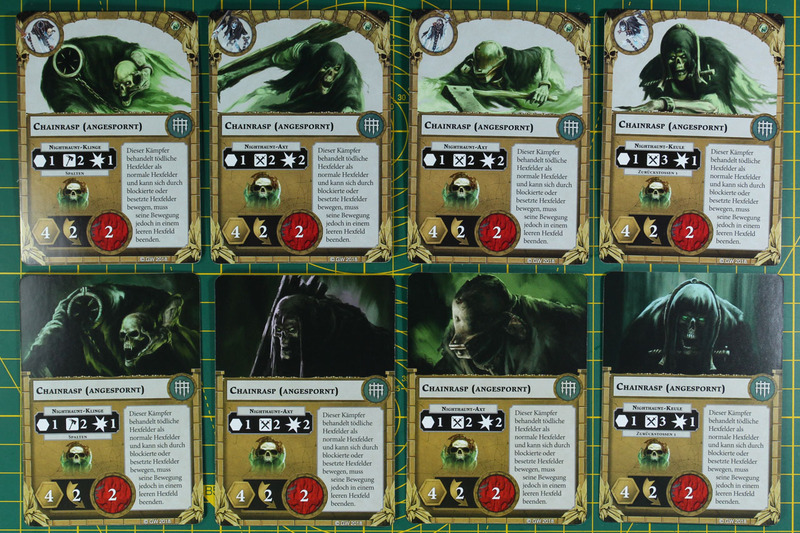 In addition the cards have a small P printed in the upper right corner next to the icon that shows the affialiation to the set / wave, they were released in. 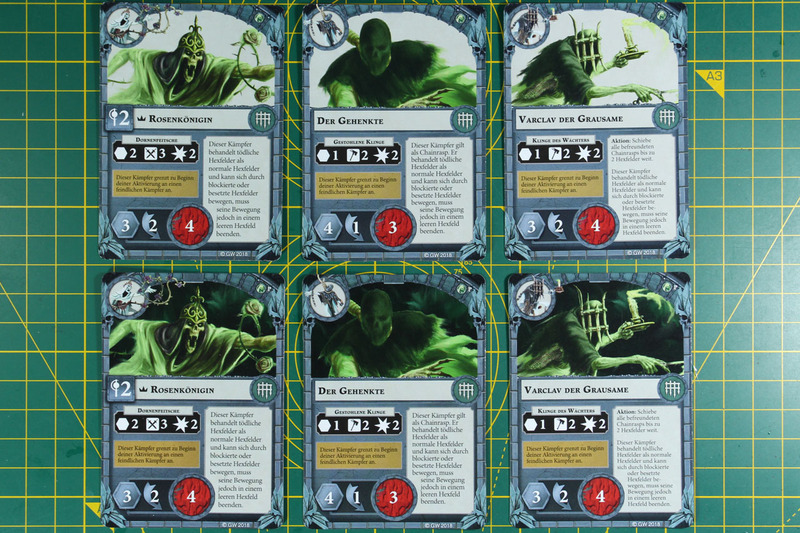 The cards cover the two starter warbands from the Nightvault boxed set, Stormsire's Cursebreakers and the Thorns of the Briar Queen. 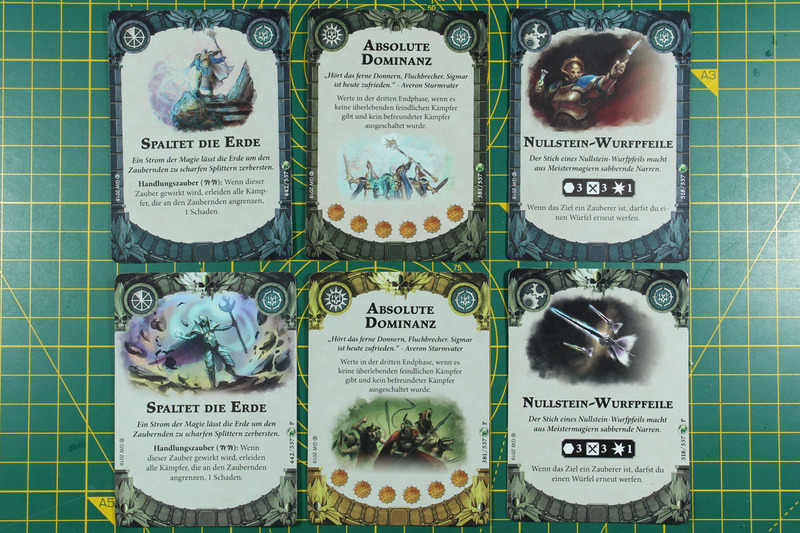 There is a total of 9 different promo cards, covering alternate artwork. 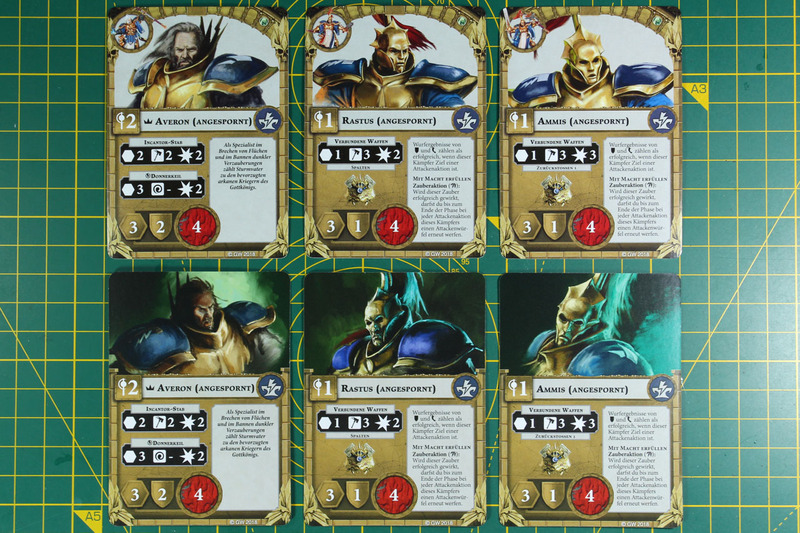 The cards origin from the Garrek's Reavers and Steelheart's Champions warband boxes (or the Echoes of Glory deck) and the leaders deck from the Shadespire season. 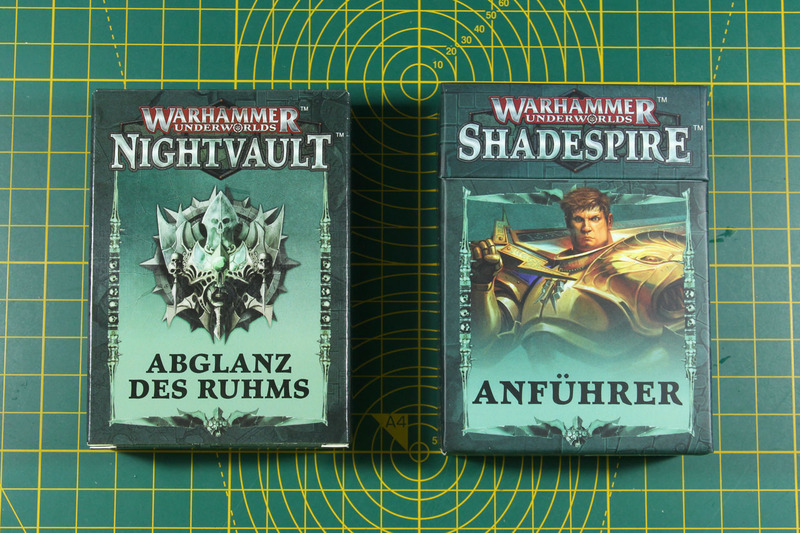 Please note in case of the cards belonging to either the Reavers or Champions (or Echoes of Glory), those are new cards released for the use of the warbands with Nightvault and those weren't part of the initial Shadespire starter box. Like the fighter cards, the promo cards with the alternative artwork can be identified by the small P next to the deck / wave icon. 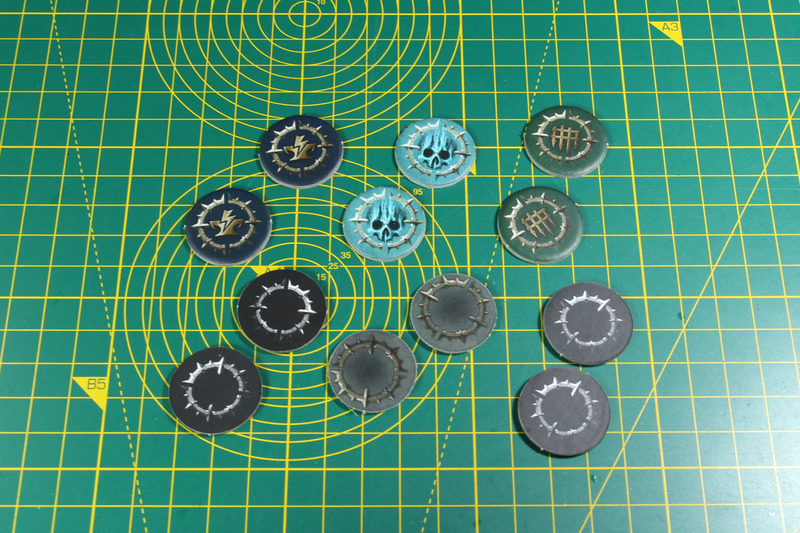 Tokens are part of the prize support as well. 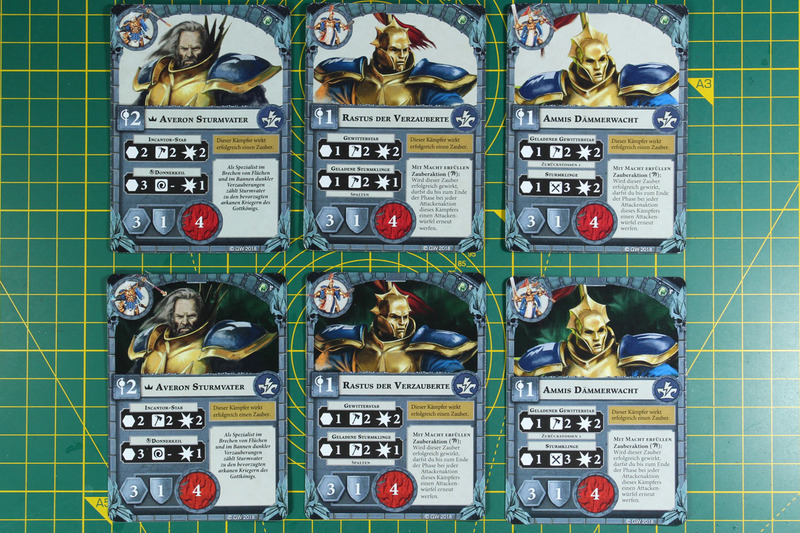 There are activation markers, fitting the warbands covered with the alternative artwork cards. 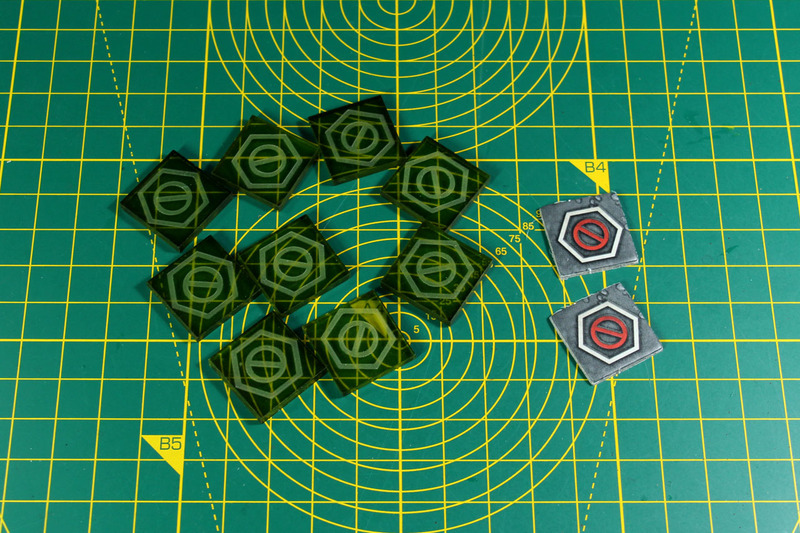 As for the move marker, they are upgraded to acryl tokens with this kit. 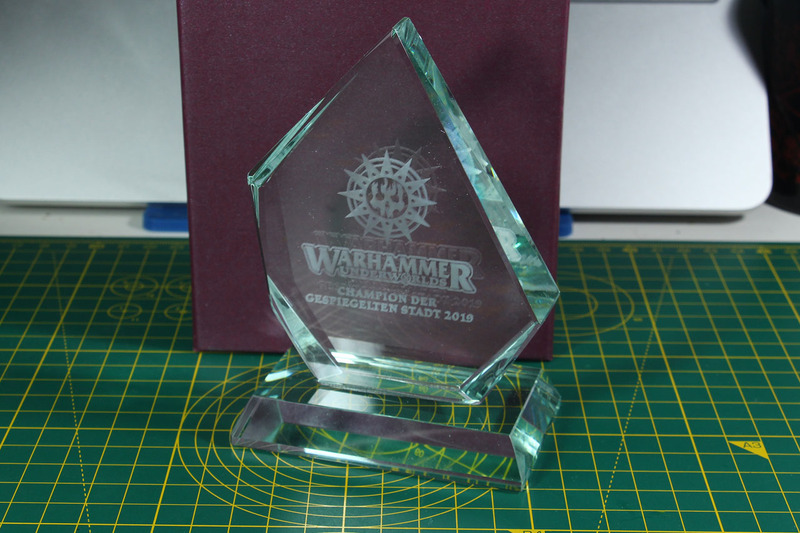 The centre piece of each of these boxes and only included once (as the other prizes are included multiple times to be able to cover more than one winner) are the shadeglass trophies. They cover the claim "Champion of the Mirrored City 2019" and are booklet sized. 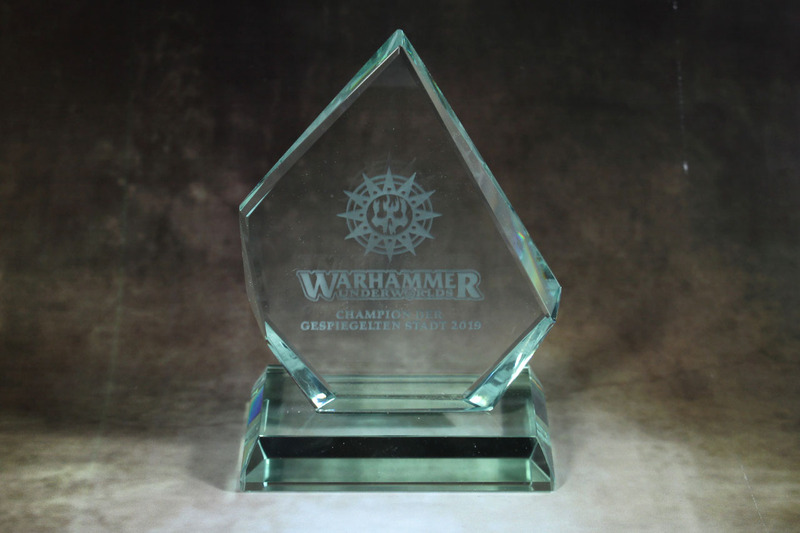 The winners of the Grand Clash tournaments receive larger trophies in a similar design. I reinforce my previos statement, I really do like the aspect, that Games Workshop is supporting the side games in a much more accessible way. And there is a learning curve. 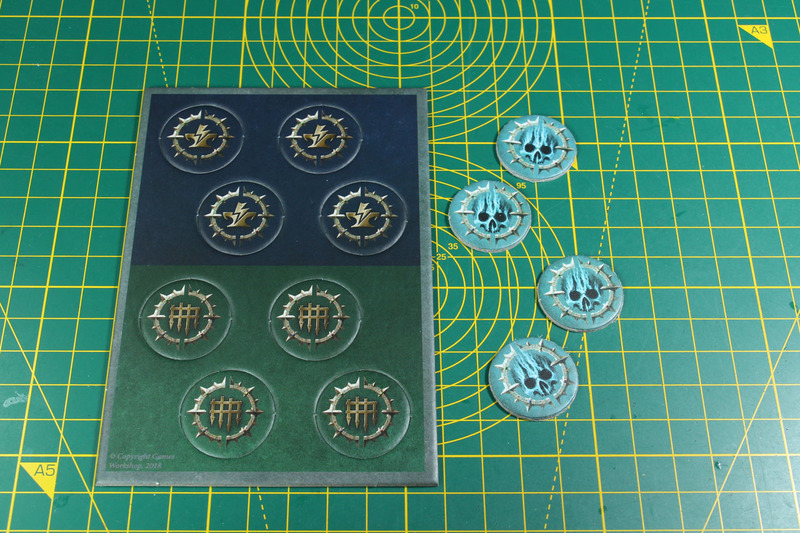 After the mixed reaction to the Blood Bowl Blitzmania, this is a local and store driven reward system, that will reach more players out there. It is going to be interesting to see, where this grows into for the main systems. 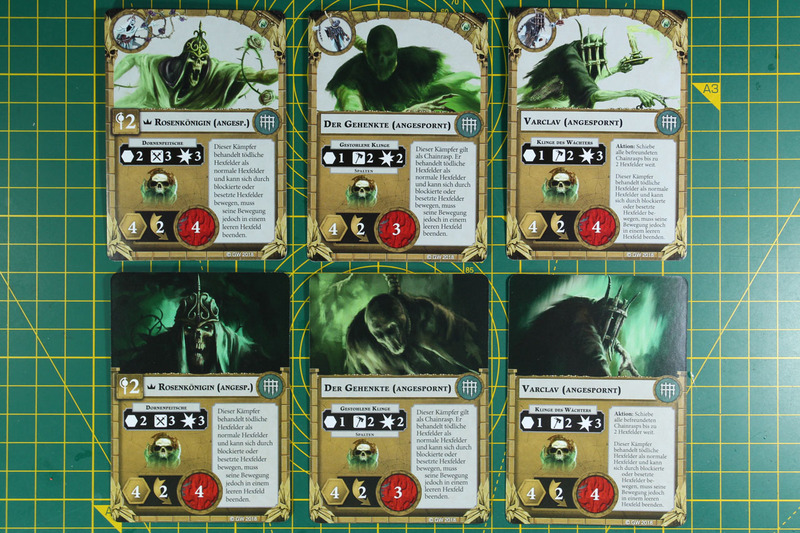 Due to the competitive nature of Underworlds, it is predestined for this kind of support, but maybe we will see something similar for Age of Sigmar as well. 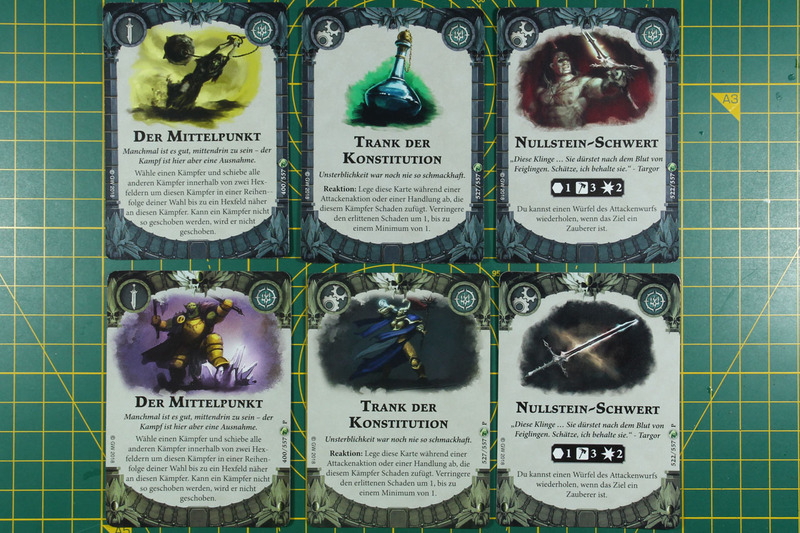 For Warhammer 40,000 there is something similar with the Kill Team campaign sets, that I covered on this blog as well. As mentioned above, the presented items are available as event / tournament support through store events. So if you would like to have the chance to earn some of them, please get in touch with your local shop owner. In case you are not aware of any stores near you, you can take a look at the store finder.